In accordance with the ONEN Master Plan adopted in 1990, we set out to bring entryway signs to our neighborhood. Through the tireless work of our ONEN Historic Preservation Committee we have arrived at this amazing design. This sign was designed by a neighbor and will incorporate the ornate grates recovered from the Stearman House and stones donated by neighbors. This sign would not be possible without the significant financial support of our members and Sponsors. Thank you all. This sign will be installed in the median at Uintah and Nevada in 2013 (work has already begun on the site). 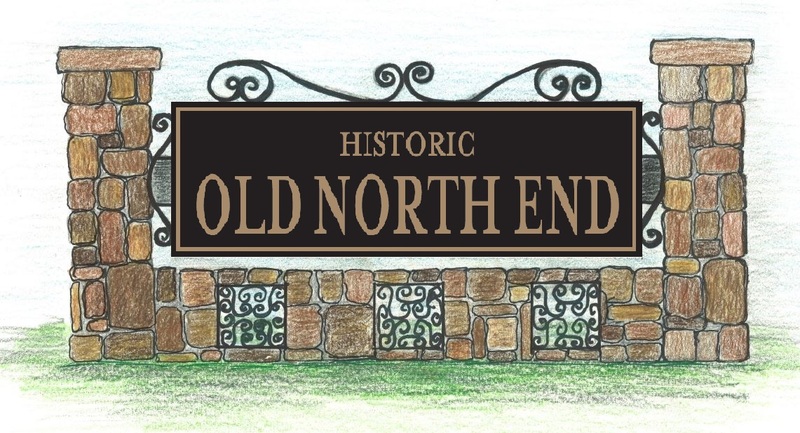 Old North End Neighborhood Entryway Sign coming soon to the median at Uintah and Nevada!